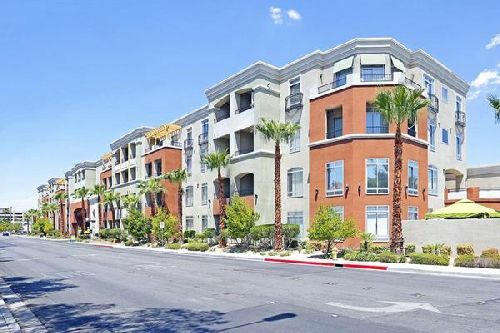 The Onyx, a 63-unit residential community just off the Strip in Las Vegas, was acquired by Continental Realty Advisors (CRA) in a $14 mil deal ($222k/unit). Occupancy at the property is high due to its proximity to the Strip – less than half a mile – and the robust workforce at high-profile resorts, as well as nearby University of Nevada, Las Vegas. CRA plans to modernize the unit interiors at The Onyx and complete extensive renovations to the common areas. The Onyx features modern lifestyle amenities typical of much larger communities, including a club room, resident lounge, fitness center and leasing center. Residents can enjoy year-round access to the swimming pool with a spa and sun deck, as well as an outdoor grilling area. The Onyx will benefit from a planned 1.14-mile extension of the Las Vegas Monorail from the MGM Grand to Mandalay Bay, providing transit access to the future $1.4 bil Las Vegas Stadium being built for the Raiders. The property is just one block south of the MGM Grand Monorail Station, and the new track would run adjacent to the property along E Reno Avenue. Once the extension is complete, the monorail system will total five miles and eight stations, directly connecting The Onyx to 11 resorts, 35,000 hotel rooms and two of the largest convention centers in the nation. The Onyx was sold by Copulos Group. Since 2016, CRA has acquired more than 1,657 units in the Las Vegas market.